Hi everyone! Happy weekend! 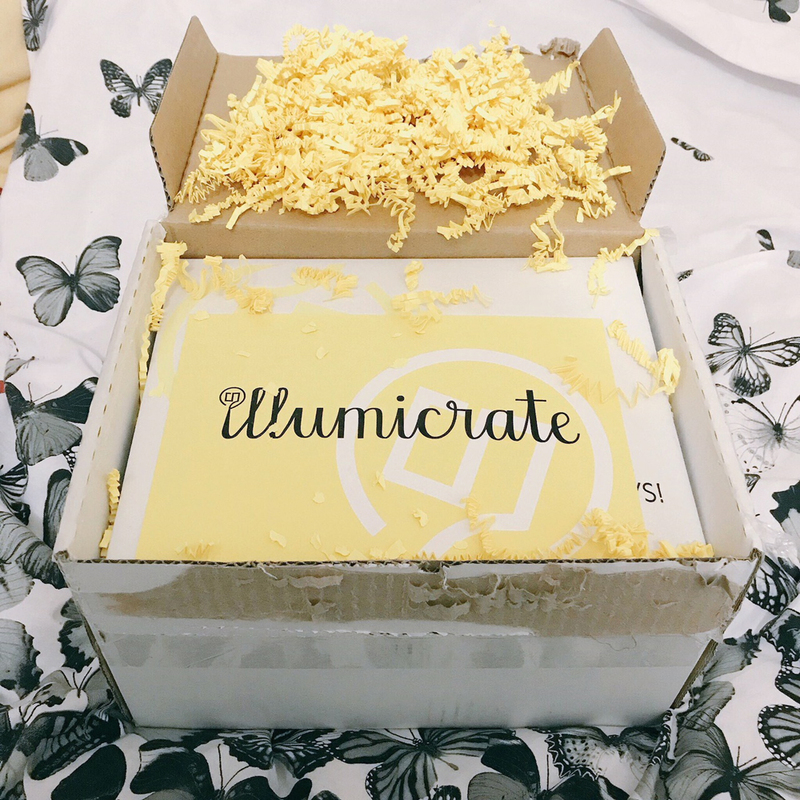 Today I’m sharing another unboxing with you from February and this time it is my Illumicrate box. 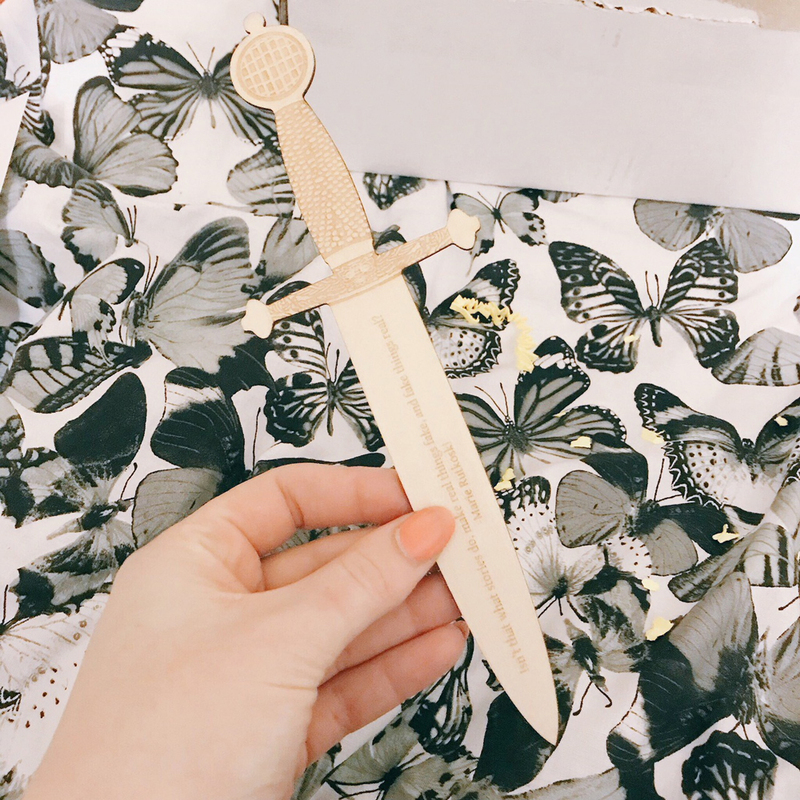 I love this quarterly subscription box. Daphne always puts so much thought into all the items and we are always spoilt rotten! 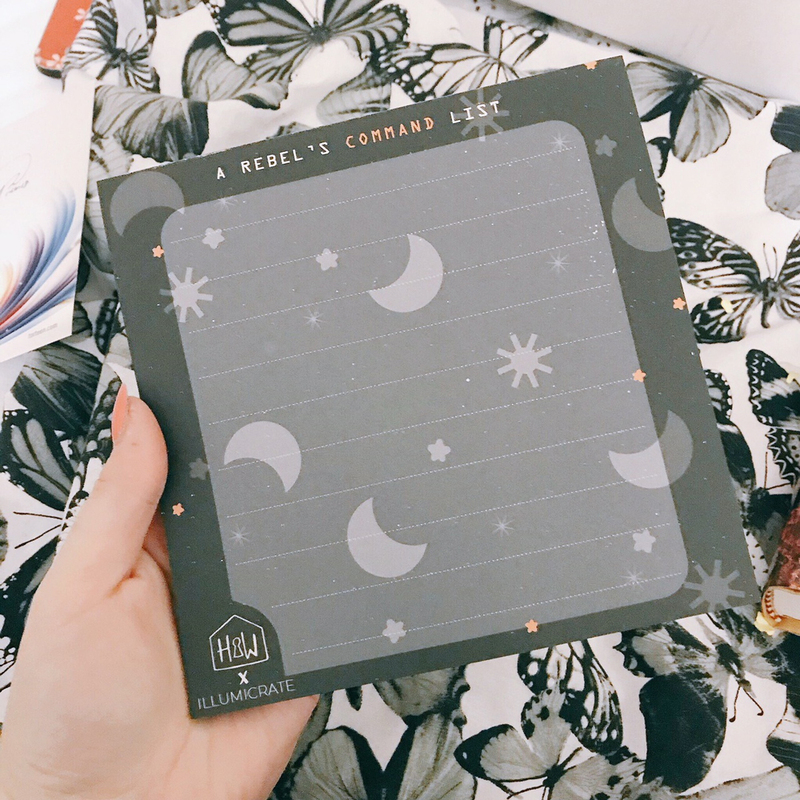 The boxes were slightly delayed being shipped last month due to there being so much content that the Illumicrate team had to order bigger boxes! And the extra wait for the box was well worth it as we had lots and lots of goodies in this great box. Beware: spoilers ahead! First I picked out this gorgeous mini lip balm which I believe is based around the Lunar Chronicles. 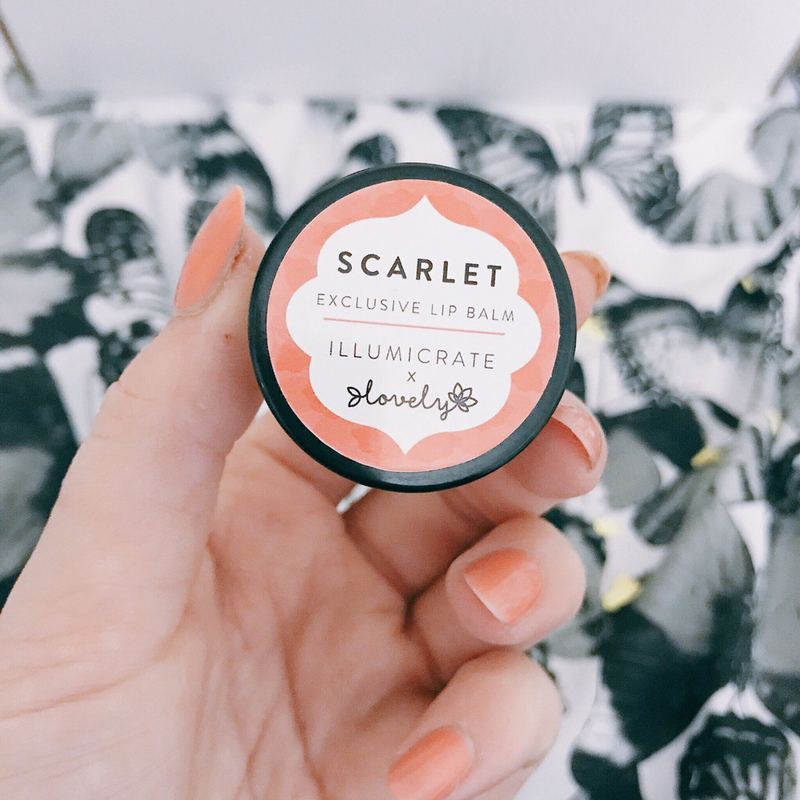 I received ‘Scarlet’ and trust me, it smells gorgeous! This lip balm is an exclusive design from @lovely_lip_balm! 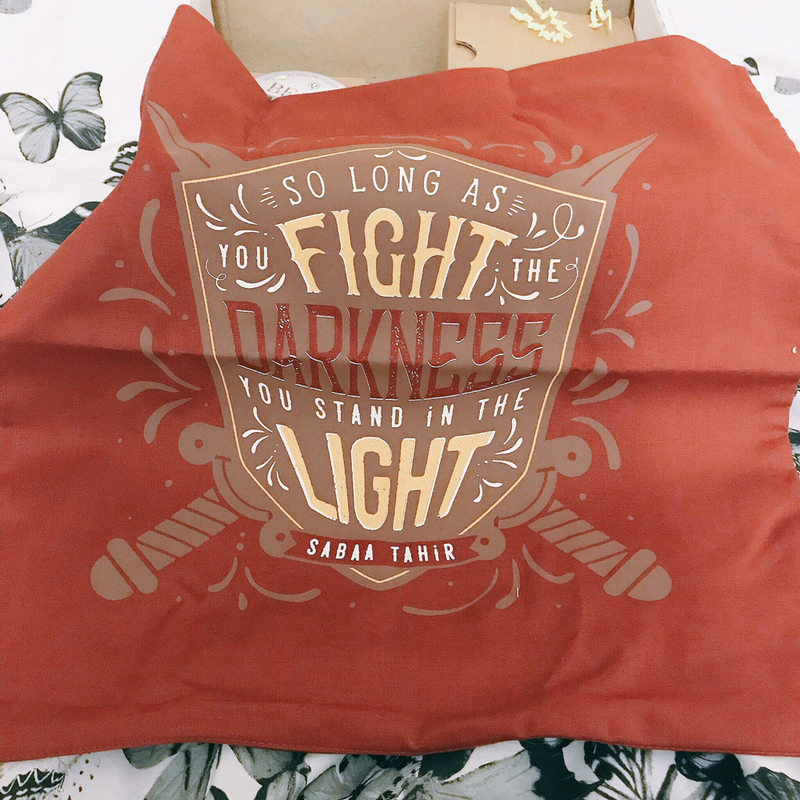 We also received a gorgeous cushion cover with a quote from Sabaa Tahir on it. I’ve not read any of her books but I do love the design on this cover which was exclusively designed by @stellabookishart! 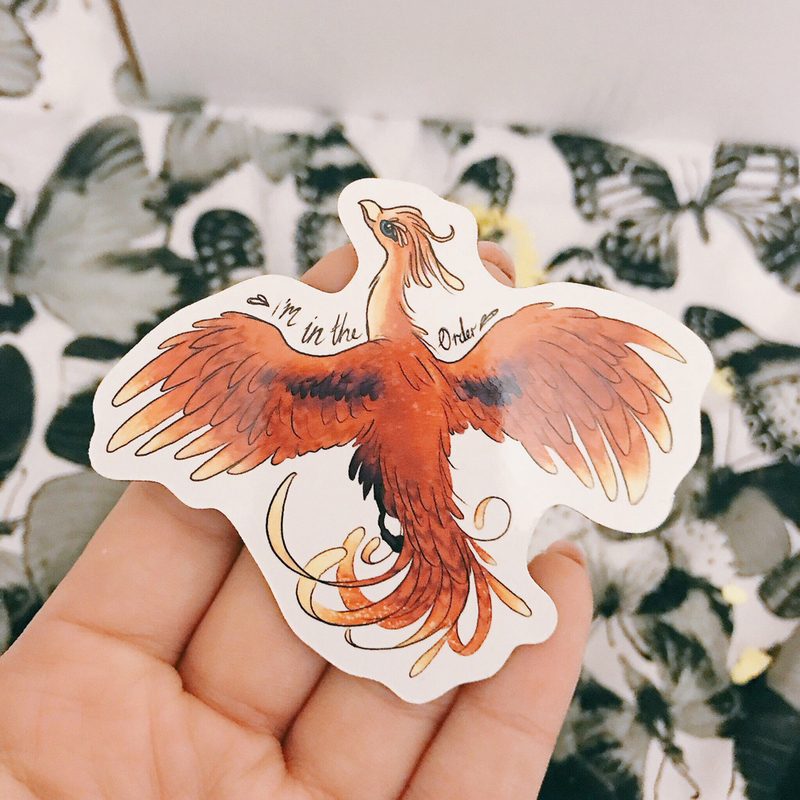 I am in LOVE with this gorgeous Order of the Phoenix magnet designed by @hannahhitchmanart. The design is so pretty and so detailed! This cute bookmark is just so gorgeous! I love that it is shaped as a sowrd and also that it is made from light wood which will hopefully make it much more durable than my usual bookmarks. This was designed exclusively for the box by @rdashjackdotcom. 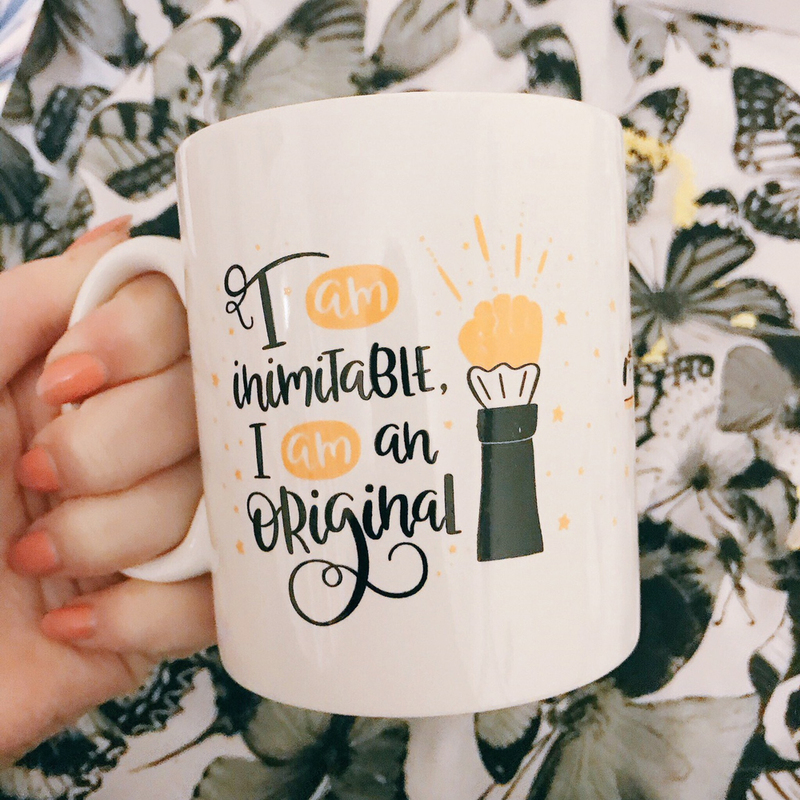 You all know how much I love a good cuppa when I’m reading (or at any time of day, to be honest) so I was thrilled with this mug designed by @abbieimagine with the quote “I am inimitable, I am an original”. Then there were lots of extra goodies included in the box too which included some samplers of upcoming books, a postcard, a notebook. I love these cute little additions to the boxes. Now it’s time for the books, that’s right.. there were TWO! First up was this gorgeous (and exclusive!) proof of The Smoke Thieves by Sally Green. I am in love with the sprayed edges on this proof and really intrigued and exited for this book! And then the real book for the month was this hardcover copy of Blood and Sand by C.V. Wyk. I’ve got to be honest, I hadn’t heard anything about this book but it sounds interesting so I’m sure I’ll read it at some point. The book also came with a bookmark, badge and temporary tattoo. Overall I am yet again delighted with my Illumicrate box, I only wish they were monthly! Have you read Blood and Sand? Ohhh what an awesome box! I love that wooden bookmark. Scarlet is my favorite heroine from TLC; I featured Wolf in today’s Saturdate post!